CHABLIS – Francois makes wine because he loves to make wine. He uses old-world traditions and also benefits from modern technology. Francois feels that the winemaker is more important than the barrel maker. He says that making wine is an art, whereas so many people reduce it to a science. The Servin family traces its roots in Chablis all the way back to 1652. Francois sells to me because we are friends. There is great demand for his wines; so he could sell to whomever he chooses. While the Domaine Servin estate wines are widely marketed, Francois has given me the exclusive right to import his PERSONAL wines, which he sells under his dad’s name, Marcel. These are only bottled when they turn out perfectly. As such, they are extremely limited and exclusive. And they are only available in Francois’ personal cellar and through P. Comms Int’l. 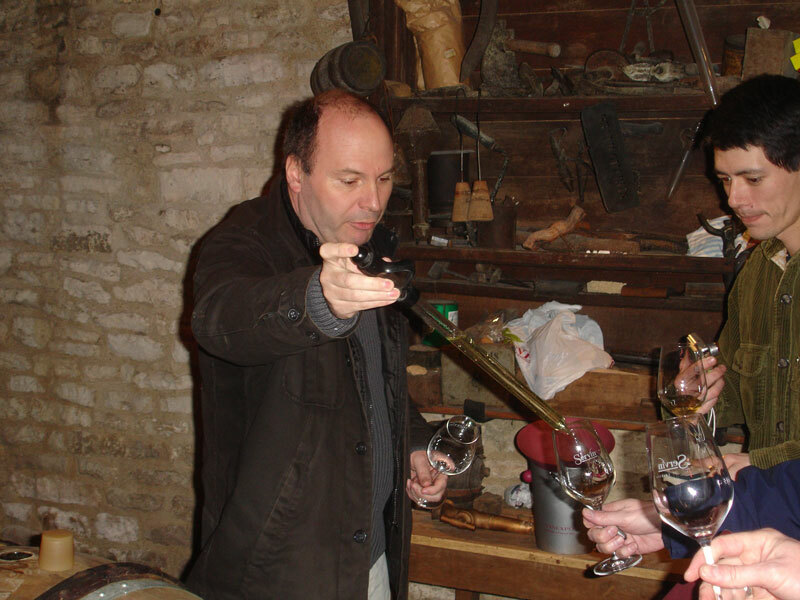 Bourgogne Aujourd’hui, the trade journal in Burgundy, rates Francois as one of the TOP TWO winemakers out of 120 in all of Chablis. In a recent “bragging rights’ competition (which is not publicized) in Chablis, Francois took home 2 of the 9 medals, including a gold medal. At the recent wine competition at the Hotel Bellagio in Las Vegas, several hundred Chardonnays were ranked. Francois only submitted 3 wines and all 3 of them were awarded places in the top eleven. At the Atlanta Int’l Wine Challenge, Francois’ basic Chablis earned the silver medal. The list of awards could go on and on. In short, Francois makes quality Chardonnay year in and year out. They are made in the true Chablis style (full and rich with good minerality) while respecting tried and true Chablis traditions that Francois learned from his grandfather. These are memorable wines. Please call us to learn more about our Servin, Francois Wines and their availability.